Melinda can’t remember when she started sewing, but she does know that in high school she learned to draft and alter patterns. From that point on, she switched from random small projects (like stuffed animals and pillowcases) to garment sewing. She’s never looked back (although she still does occasionally make stuffed animals!). 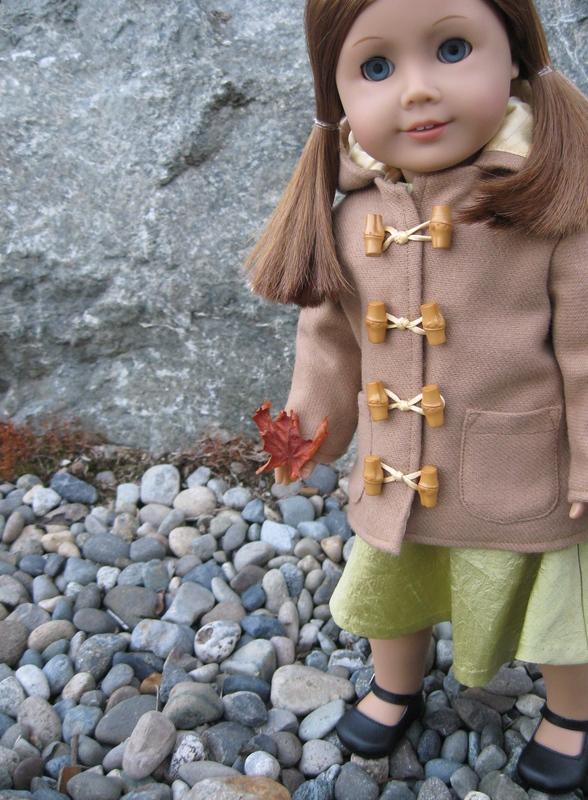 She takes a lot of inspiration from past designers, the outdoors, good music, and fabulous fabric. Melody Valerie serves as design consultant, model, and (of course) namesake of Melody Valerie Couture. 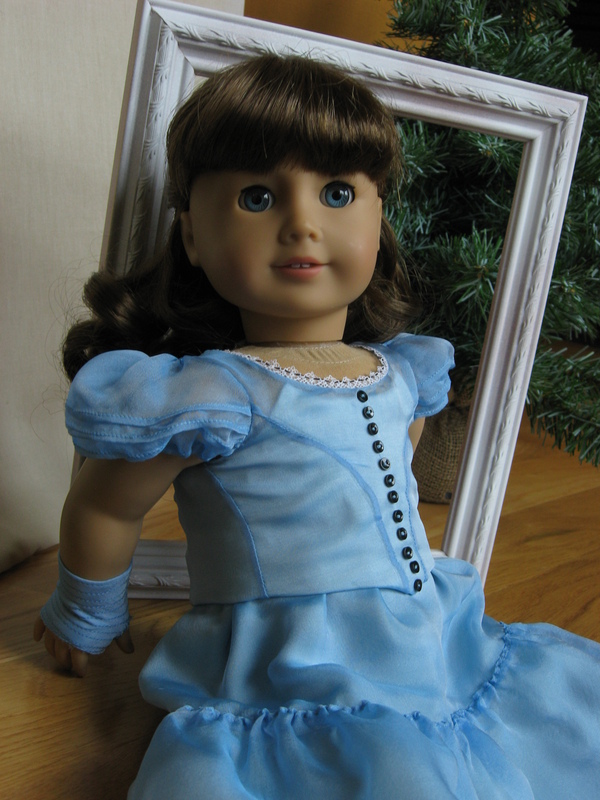 In August 2008, Melinda and Melody launched MVC together with the goal of bringing the same beauty and design excellence found in top-quality human clothes to 18-inch dolls across the world. Samantha, our resident IT specialist, regularly helps MVC navigate the sometimes treacherous waters of the World Wide Web and all things computer. Lisette left her job matching shoes at the department store warehouse for a career as a Melody Valerie model in January 2009. She hasn’t looked back since! Kirsten helps model dresses occasionally, but she’s happiest when armed with a brush and some bobby pins; thanks to her talents, the dolls of Melody Valerie never have a hair out of place. Sophia and Myrna come in to help with photoshoots and modeling; between sessions you can find them reading poetry, drinking coffee, or hiking. Hi, I’m very impressed with the designs of your dresses. They look very professional and in the best of high style. I will be looking forward to seeing more of your work in the future. Will you be having any outfits that would be appropriate for the up-coming holidays? Hi i was wondering if u could make me a custom outfit??? Thank you for your interest! Unfortunately, we’re too busy to take custom orders right now. What doll # is the doll in Melody’s picture? I love the models and blogs.I absolutely love your gowns and I’d really love if you make more big gowns. I was just curious if you had any plans to add a medium models. Perhaps Kanani? Kanani and Kaya “own” half of my Melody Valerie dresses, and many people have commented on how their tone sets off the look of the dress much better than my fair-skinned girls. Especially the Lisianthus, Suzanne, and Cutting Edge. Please consider it. 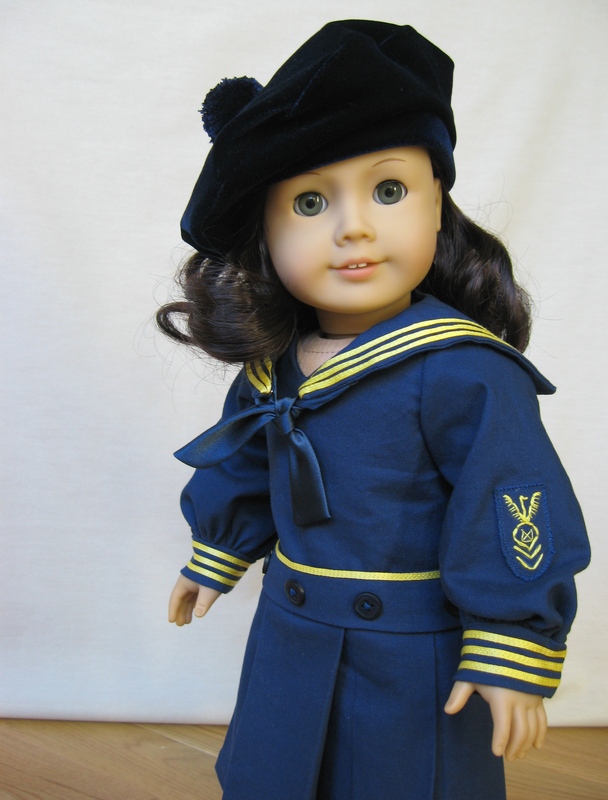 It would be nice to see how your clothes might look on a medium doll. What a great idea, Adia! I often think of adding another girl, but there are so many lovely ones that it can be difficult to pick… And you’re so right, some of the dresses really pop on darker-skinned girls! I love the pleated front dress (https://melodyvalerie.wordpress.com/the-dresses/spring-2011/cecily/) but haven’t been able to find a pattern for it. Is there one available? Thanks! Your impeccable products have inspired me to re-create beloved dresses from my childhood and from my mother’s childhood in Mexico. This grandma still plays with dolls.